On Sunday, January 17, over 50 young professionals from across Toronto gathered at the Sarah and Chaim Neuberger Holocaust Education Center to honor the Righteous Among the Nations. This event was developed as an Impact Project through UJA Young Leaders Madrichim in Training (MIT) Program. The event was planned and led by MITs Jennifer Kamien, Noah Waksman, Kayla Shapiro, Bryan Zimmerman, Dexter Glied-Beliak, and Adina Houldin, with the support of mentors Tamara Caplan and Jody Kamen, program chair Jaclyn Leebosh, and UJA's Jessica Taylor. The Righteous Among the Nations event was educational, inspiring, and thought provoking. Raoul Wallenberg Day was designated by the Canadian Government in 2001 to honor Wallenberg, a righteous gentile from Sweden, as Canada’s first honorary citizen. As a testament to Wallenberg, the event began with a short video clip telling his story. Wallenberg was sent to Hungary by the US War Refugee Board and risked his life by distributing certificates of protection that allowed Jews to stay in Hungary. His courageous actions are credited in saving over 100,000 Jews during the Holocaust. 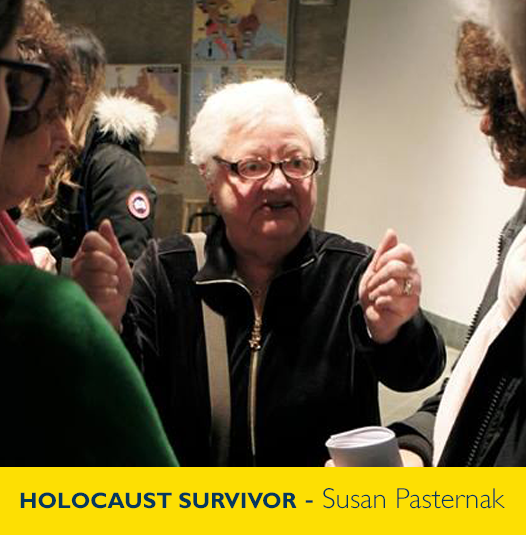 After understanding the bravery and heroism the Righteous Among the Nations had, Holocaust survivor Susan Pasternak shared her experiences of what it was like to be a hidden child. Her story was moving and touched many of us on different emotional levels. Following Susan, Mr.Neil Orlowsky discussed our responsibility in the global context as Jews. He reminded us about the golden rule “do to others as you would have them do to you”. The importance of this phrase is timeless. He urged us to follow what we are passionate about and to be the change we want to see in the world. The event ended with refreshments, and reflection from the audience. As I walked around the room, I heard important topics surfacing: “Why did Canada close their doors to the Jews?” “How come the world stood silent?” “If we had Israel at the time, would there still have been a mass murder of Jews?” Hearing these questions made me realize what an impactful event my team and I led. Though there are no answers to these questions, the goal was achieved: we not only raised awareness of the Holocaust and the Righteous Among the Nations, but we were also able to get the Jewish community to think about these issues and their relevance to our world today. Sunday left us all with the big question: Would we have risked our lives to save others? For over 25,000 Righteous gentiles the answer was yes. However, the many others remained silent and watched the innocent suffer. We must make it our responsibility to never turn a blind eye when we see people suffering. I swore never to be silent whenever and wherever human beings endure suffering and humiliation.We must always take sides. Neutrality helps the oppressor, never the victim. Silence encourages the tormentor, never the tormented. 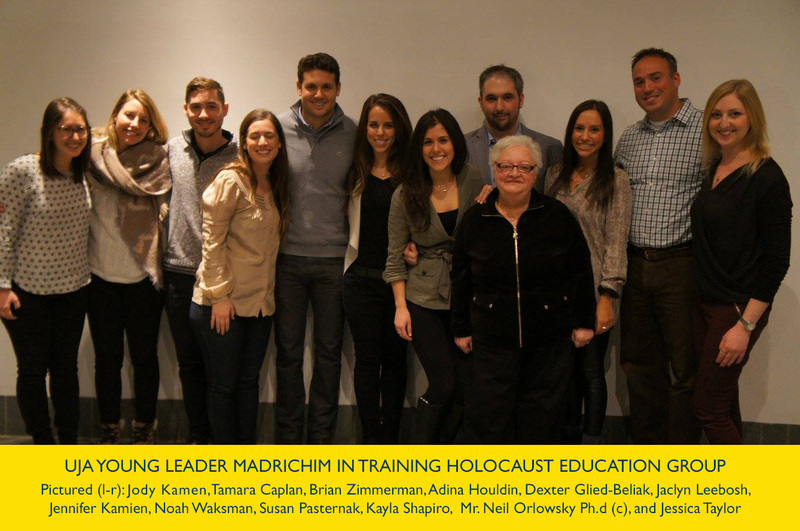 UJA Young Leaders' Madrichim in Training (MIT) program cultivates emerging Jewish leaders as role models and informal Jewish educators within the Toronto Jewish community. The MIT program is a comprehensive leadership development initiative for young adults to develop their community leadership skills and prepare to staff Birthright Israel: Canada Israel Experience trips. These leaders also help transition their participants’ Jewish experience from Israel to their home community. For more information on young adult initiatives and the MIT program, please contact Jessica Taylor at jtaylor@ujafed.org or visit www.israelforfree.com/leadership.